1) I want to specialize more in my child’s interest areas. 2) I want to make homeschooling more fun and hands-on (especially in arts and science). 3) I want more consistency in our homeschooling routine. Your challenges may be similar. While these issues may require you to stretch beyond your expertise and comfort zone, here are some ways to tackle them. Listen to Your Child. We often project our own ambitions on our children and when they don’t succeed, we blame them for ruining “their” dreams. Frankly, it is natural for parents to push their own agenda or to guide their children towards profitable professions. Instead, try to understand these three dimensions about your child and steer them into the juncture point: 1) Areas where they have a natural interest; 2) Areas where are talented; and 3) Areas where they can create a path towards a productive and rewarding life. Establish “Wildly Important” Goals and Keep Score. If you think increasing hands-on science learning is a top priority, then create a specific, trackable goal for it. For example, the goal could state: “I will increase our hands-on science experiment time from 2 hours to 3 hours each week so that we can complete 6 science projects by December.” The goal is ambitious and the statement is precise and measurable. Now list all the “top” goals (keep the list short) and start measuring them weekly. Make Google Your Friend. Science may not be your strength, but most everything you need is available online. 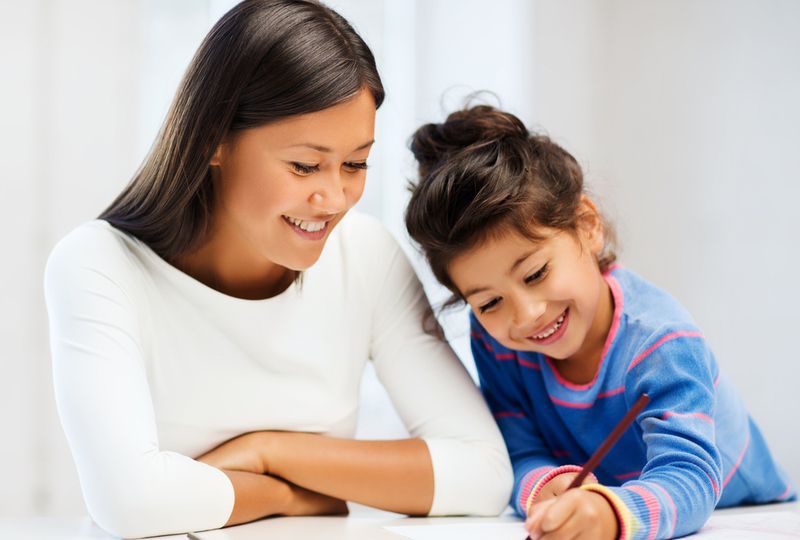 Sit beside your child as you research great science project videos or hands on art lessons. Work with them on these projects – from buying supplies to documenting the experiments. Eventually, your child will learn to find trusted resources for these projects and they will be self-sufficient in completing them. Be the Change you want to See. Hard work and consistency is better taught by example than by preaching. If your homeschool is struggling with consistency take a look at your own life. When you are researching a topic for your child, do you allow yourself to get distracted by emails and news? Are you establishing a daily routine for yourself and achieving your own goals? How much of your time is really productive? Make it Fun. Mix it up. If your child wants to use the whole day to complete an interesting project, let them do so (on the understanding that they will make up the other work tomorrow). Adopt a work-hard, play-hard culture at home. Learn to balance the “push” with the “recognition”. Each one is important and cannot work without the other. Learning is a life-long project. Each day is an opportunity to improve and grow. Hopefully, these five principles will help you revive the love for learning in your home. Try them out and send us your thoughts!